Growth in the eight core sectors of the economy continued to tumble, crashing to an 18-month low of 2.6 per cent in December, down from the 3.4 per cent growth in November. After hitting a three-month high of 4.8 per cent in October, growth has crashed as electricity and fertilizer output dwindled and refinery products turned negative. Data released by the commerce and industry ministry on Friday showed that the eight segments — coal, crude oil, natural gas, refinery products, fertiliser, steel, cement and electricity — cumulatively grew 4.8 per cent in April-Nove­mber of the current financial year, remaining higher than the 3.9 per cent growth in the corresponding period of FY18. Economists blamed an unfavourable base effect, along with a sudden slowdown in the growth of cement production and electricity output, for bringing down the overall growth rate of the core sectors. Contributing 40 per cent to the total industrial production, output of the core sectors has increasingly focused on cement production, led by rising construction activity across the country. Fertilizer production continued to crash in December but at a slower pace. Output of the sector contracted 2 per cent in December, down from a significant 8 per cent in November, as imports remained strong. 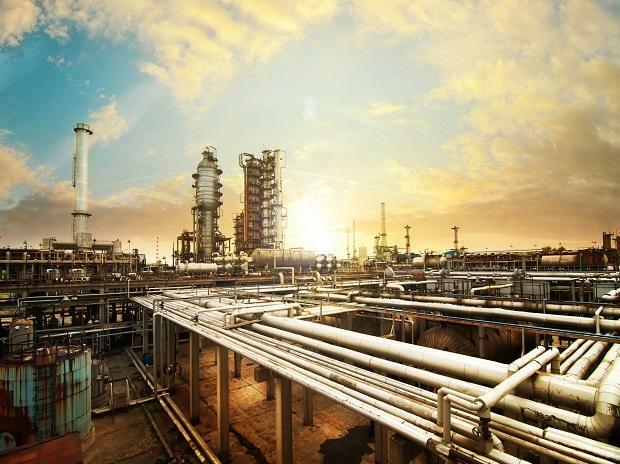 “The energy complex performance has not been up to the mark, which can be attributed to lower crude oil prices, which impacts crude oil production as well as exports of refinery products,” Madan Sabnavis, Chief Economist at CARE Ratings said. Both power and coal production have witnessed slower growth as the initial impetus of some government schemes has tapered. Imports of coal has also been higher, which have replaced domestic production, he added. However, increased production in steel allowed growth in the sector be at a 13-month high. Industrial output (measured by IIP) is expected to grow by around 2.5 per cent in December, 2018 with a downward bias due to high base effect, CARE Ratings said.